中学グローバル　１・２年合同授業を行いました　Let’s learn together! 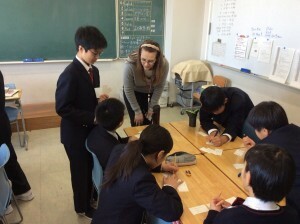 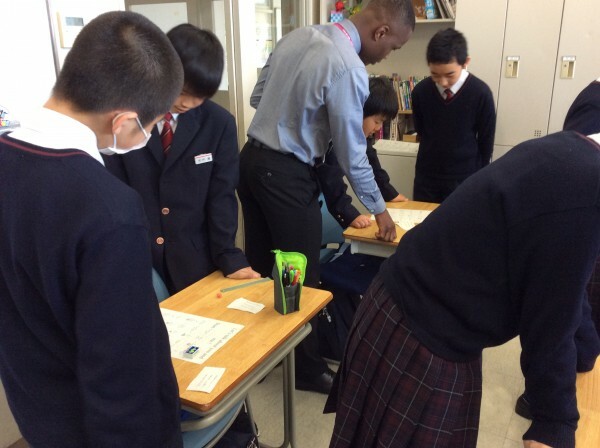 students taught the 1st year students some English expressions and explained concepts that we too difficult. 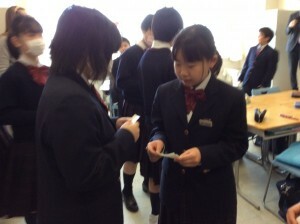 I think this opportunity will allow all the students to learn English in a supportive atmosphere. 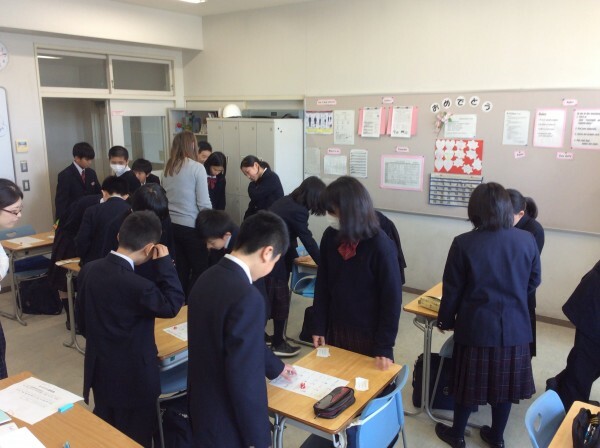 We are looking forward to more combined lessons. 1D and 2D meet for the first time! 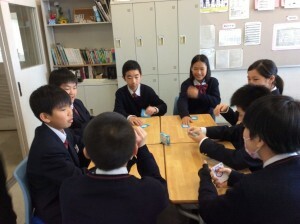 Everyone had fun playing English games and some made some new friends! 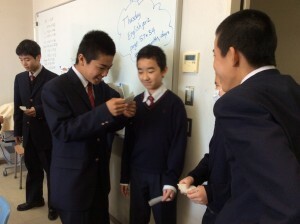 1D looks forward to more combined classes.